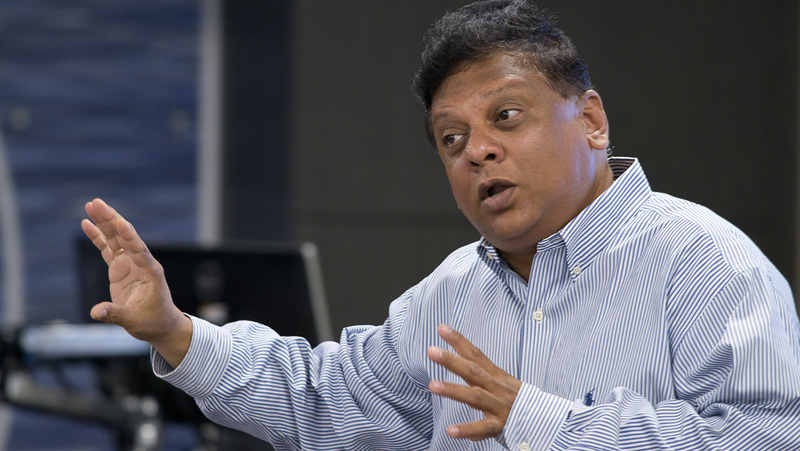 Srikanth Beldona, professor of Hospitality Business Management (HBM) and director of HBM Graduate Programs at the Alfred Lerner College of Business and Economics, was recently appointed to the editorial board for the Cornell Hospitality Quarterly (CQ). The Cornell Hospital Quarterly is a peer reviewed, scholarly journal published quarterly in association with the Cornell University School of Hotel Administration and CQ is a member of the Committee on Publication Ethics. According to the Cornell Hospitality Quarterly, the primary role of the editorial board is to support efforts that enhance the quality of the CQ by providing manuscript reviews, recruiting manuscripts and promoting the published work. Beldona spoke with Lerner about the importance of CQ in the industry and how his work in the HBM program led him to join the Editorial Board. Q: What is the role or value of CQ in the hospitality industry? A: The Cornell Hospitality Quarterly is, in my opinion, the number one journal in terms of what people look at in the industry as a place for research. It has that formidable reputation of being the top journal that industry executives will most likely pick up and read to see what’s going on, on the academic side. Q: Why did you agree to join the editorial board? A: The reason why I agreed to join the [editorial] board is that this is the hospitality journal that has a very clear, purposeful mission in terms of bridging what is going on in the industry and what those in academia are working on. I’m very passionate about purposeful research that helps industry, society and the academic fraternity, and for me, CQ stands out for that. Q: What do you hope to contribute to the work of the journal in your role? A: I would like to make sure that, for the articles that come through me, that I’m looking at them for impact and purpose. The other thing I would like to contribute is new directions for the work, and how to make the general [editorial] board effective in terms of contributing to CQ’s mission of being purposeful. Q: How have your experiences at the Lerner College, and in the HBM department, led you to this role? A: Lerner is a healthy research environment, and on top of that, the support from my department has been good. They give me research funds to conduct experiments and so on, so I’m able to do those things because of what the college and department have done to support me. Q: Do you expect your experiences at UD will inform your work on the Editorial Board? A: Yes, the research that I’m doing at Lerner certainly will [inform my work on the Editorial Board]. I would like to contribute more as an author as well. It would also inform me in my reviewing, when I see articles come my way, or it could even contribute to new directions for research when the editorial board meets and so on.